Project Square is a well-established store in Muscat, Oman that provides high-grade projectors of international standard. 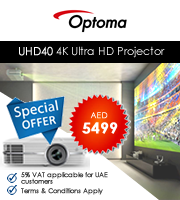 We are reputed suppliers of branded projectors in Muscat and Oman. Whether it is for office or home use, customers can find a multitude of options at our online store. 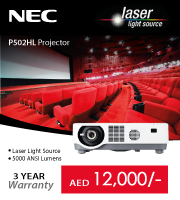 Buy projector Muscat from our portal. Customers can shop from our portal from many top brands like Casio, Lumens, InFocus, BenQ, Acer, Promethean, Panasonic, Rico, Konktel etc. Project Square has formed tie-ups with reputed distributors, dealers, and manufacturers who help us in providing the products to the customers at the best possible price. Buy authentic multimedia projector units at a fair price without compromising on the quality. Shop for online projectors Oman from our portal for home theatre and for business purpose. We procure products from well-known manufacturers, distributors, and dealers and do not offer inferior quality products from imitation brands. Being leading suppliers in Muscat, Oman, we provide items that conform to cutting-edge technology and finds wide application for commercial and home use. We offer technical assistance to our customers for malfunctioning products. Call us for any queries. We look forward to helping you in all possible ways.